Reflective beam provides reliable perimeter security, minimizing false alarms from falling leaves, birds, etc. Dimensions 3-3/16" x 7-3/16" x 3-9/16" (81 x 182 x 91 mm), Dimensions include hood. 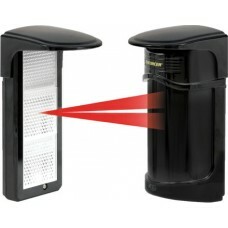 With hood, sensor and reflector have the same dimensions.